Having a contest, that required me to decide and choose a winner, the week before Christmas was a bad idea (not only was it crazy busy, but I also have had pneumonia half of the month and it has been kicking my booty) but I have finally chosen a winner. 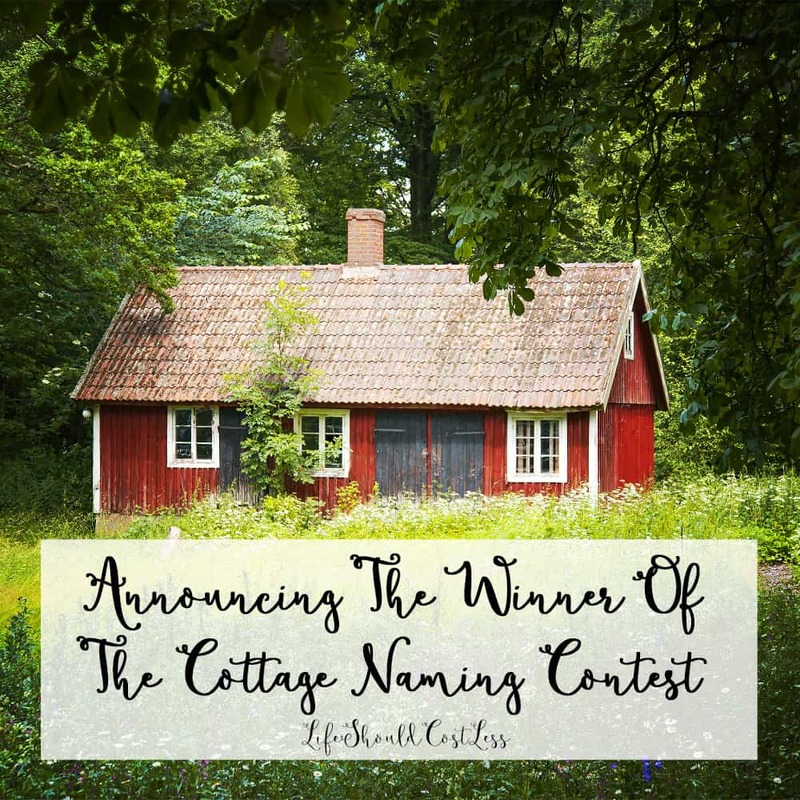 In case you missed the post I did announcing that I was asking for your help in deciding the name for my cottage, that is what this post is about. And the winner is…Tasha Dutson with the suggestion of Noor Cottage. The word Noor means “the feeling of satisfaction and happiness” and that is the perfect vibe I want for my new little home. I was even able to buy the domain noorcottage.com so that gives me even more options later if I want to create a website for the cottage on its own. Anyway, I have sent Tasha the e code for her $100 Amazon Gift Card and am sending out a big thank you to all of you that sent in your entries and am also saying sorry that it took me a little while to pick a winner. I appreciate all the support for me and my website and hope that you will all keep coming back to see the progress that I make with the cottage. I want to make it feel like a storybook cottage and then my final goal is to one day have it featured on a huge site like bhg.com or one of the other huge ones. I am going to be posting a before post soon where I share what the cottage looks like now, before I do any projects, and then will update you all on the progress throughout. Keep in mind I am always open to suggestions on what to do with each room, so feel free to send me suggestions as I am going from room to room.